A shorter hike along the East Rim Trail near the East Entrance takes you along slickrock and desert landscapes to a fantastic slot canyon. 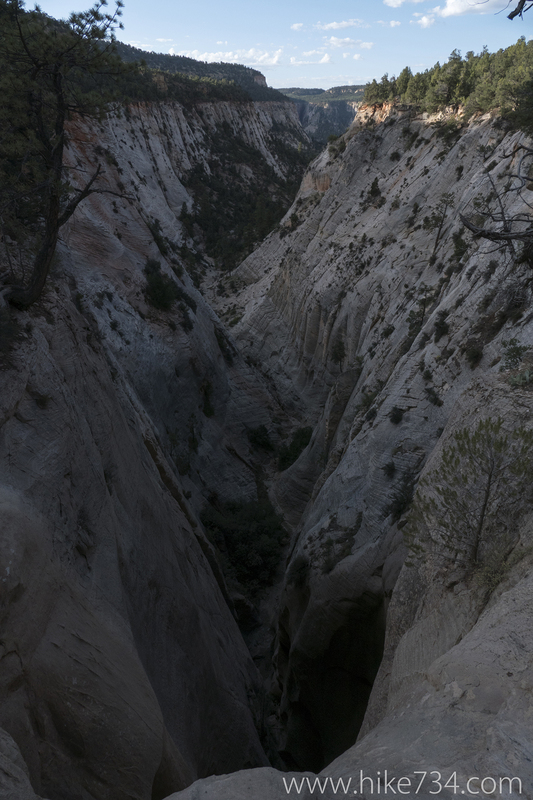 Jolley Gulch is a great viewpoint with a dramatic, deep fissure that writhes its way out into a broader valley. Starting on the East Rim Trail near the East Entrance of Zion, you travel along a broad trail through slickrock and desert shrubbery. The trail starts off fairly level with some soft, sandy spots along the way. 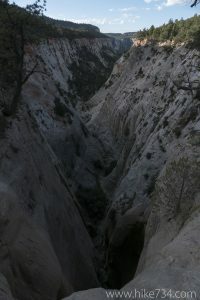 The trail switchbacks at Cave Canyon and begins to climb. You wrap around the point that separates Cave Canyon and Jolley Gulch, with the latter being an impressive canyon.